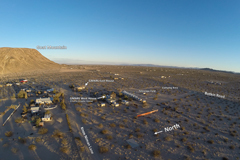 If you're thinking about attending a star party in the Inland Empire, the Riverside Astronomical Society's dark sky site, GMARS, is the spot for you. Where exactly is GMARS, you ask? It's in Landers and getting here is pretty easy. You can use Google Maps to see the location and to enter your starting location for driving directions. All roads are paved except for the last 2 miles to the property. But the dirt roads are fairly well-grated and shouldn't present any problems for normal passenger cars. Be careful if using a GPS device to get here as the street signs don't always match up with the map labels once you're on the dirt roads. Overview map of GMARS location. Take I-10 EAST to Hwy 62 and go NORTH. Continue on Hwy 62 for about 22 miles. NOTE 1: If coming from the west, Hwy 62 splits off I-10 shortly after Hwy 111, which is the exit for Palm Springs. NOTE 2: When you get on Highway 62 and leave I-10, the road is straight for 6 miles then gets curvy and goes uphill through a short mountain pass. 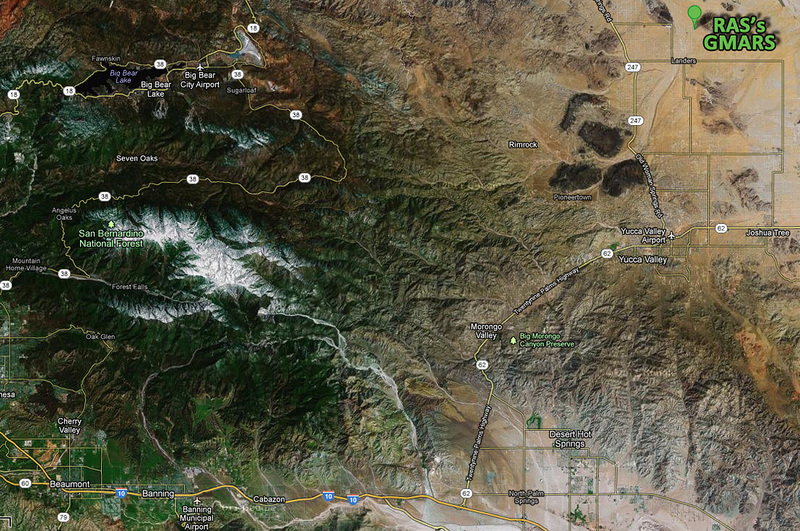 When you come out of there, you'll be in Morongo Valley. 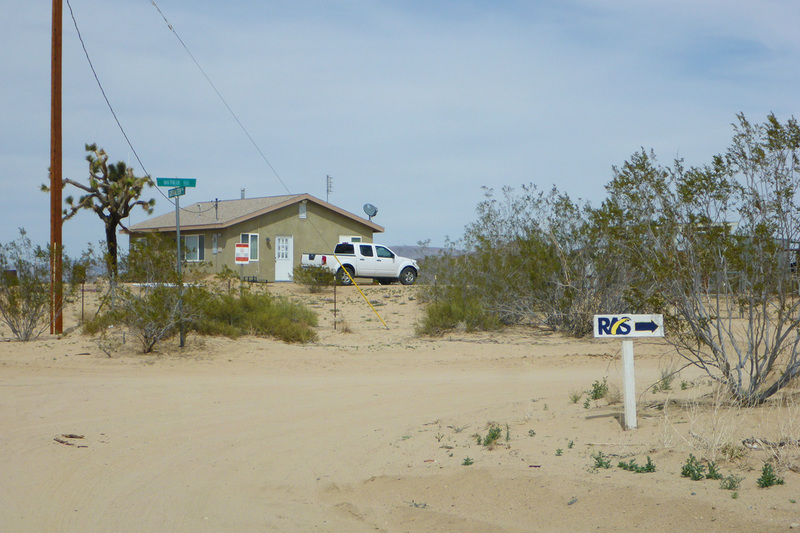 After another long, straight stretch and an uphill portion, you'll be in Yucca Valley. 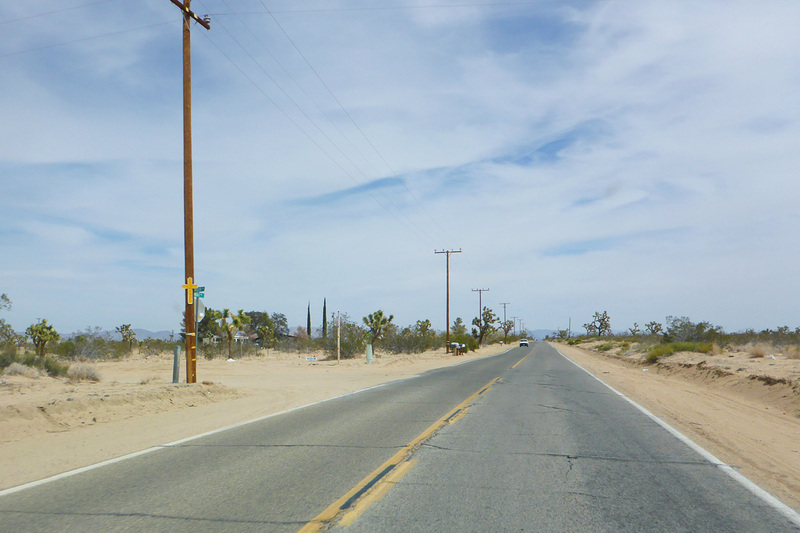 NOTE 3: Highway 62 is also referred to as Twentynine Palms Highway. 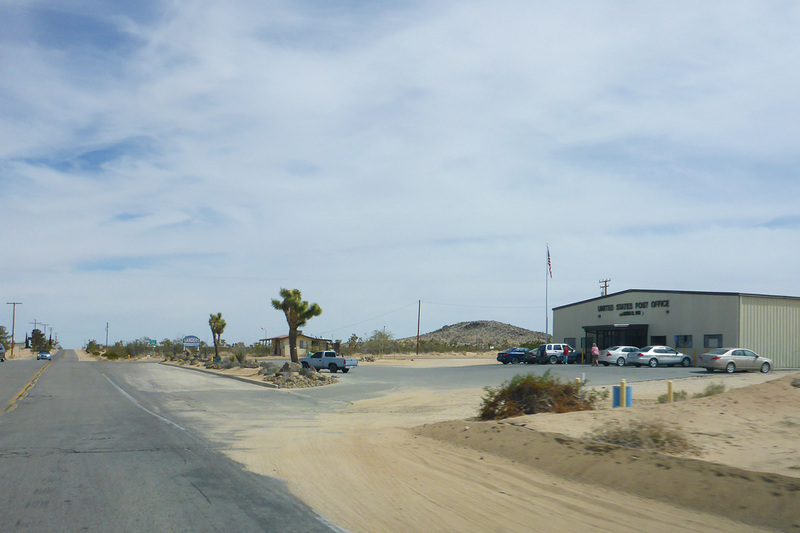 From Hwy 62 in Yucca Valley, take Hwy 247 (Old Woman Springs Road) NORTH (this is a LEFT turn). Continue on 247 for about 10 miles. NOTE 4: In Yucca Valley, when looking for the sign for Hwy 247 or Old Woman Springs Road, note that there's an auto parts store and a 76 gas station on the left side of the road where you need to turn. From Hwy 247 (Old Woman Springs Rd. ), turn RIGHT on Reche Road. Continue on Reche Road for about 3 miles (see photo). 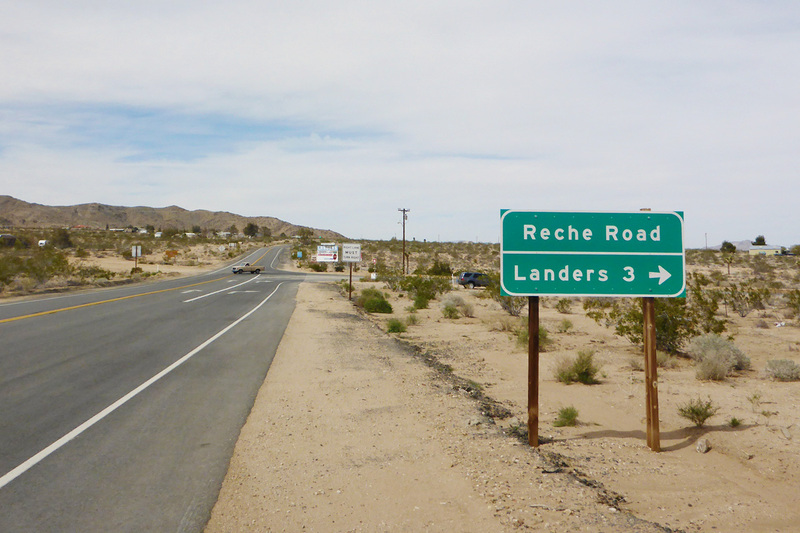 NOTE 5: At the turn, there is a sign for Reche Road, which also notes that Landers is 3 miles from there. 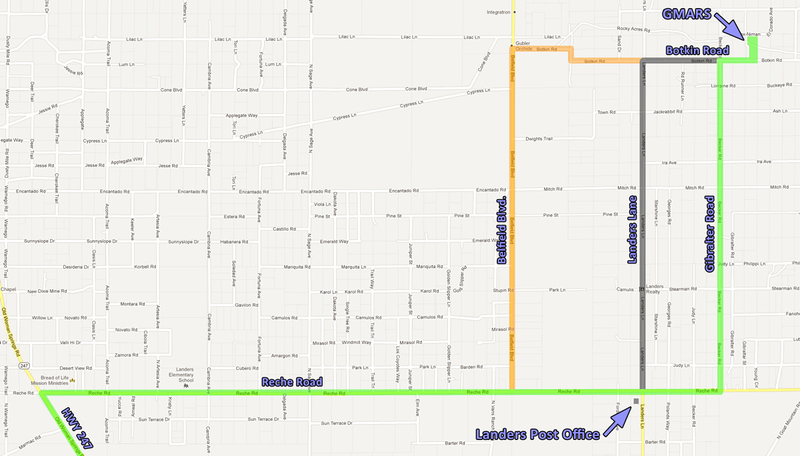 After about 2.5 miles you will pass the Landers Post Office (which is on the right side of the road). 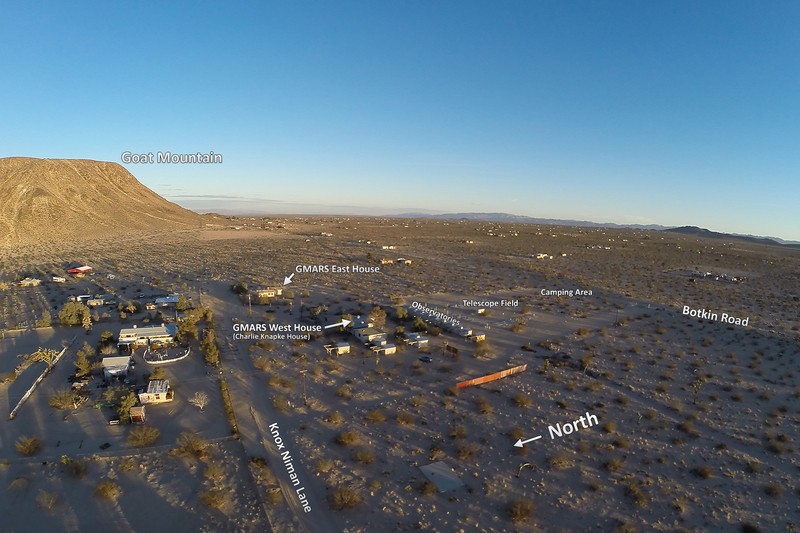 Aerial view of GMARS from WNW. While on Reche Road you will pass the Landers Post Office (see photo). Shortly after the post office, turn LEFT on Gibralter Road (see photo). It's dirt roads from here on out. What's tricky about turning left onto a dirt road? Most maps have Gibralter Road labeled as Becker Road. In terms of street or road names, most maps and GPS devices can't be trusted from this point. So, once you pass the post office, be sure to look at the street signs on the left side of the road and go by their labels instead of the labels on your map or GPS device. Continue down Gibralter Road for about 1.5 miles. Turn RIGHT on Botkin Road. You should see an RAS sign on the south east corner of the intersection of Gibralter and Botkin Roads (see photo). Continue on Botkin Road for about 1/10th of a mile. Final approach to GMARS with alternate roads. Turn LEFT into the RAS GMARS "driveway." You're here! NOTE: Always enter GMARS from Botkin Road. This is the main east-west dirt road along the south edge of the property. If you go further north to Knox-Niman Lane, you will be met by locked gates. Take Hwy 18 out of Victorville going EAST. Continue on Hwy 18. It'll turn into Hwy 247. Continue EAST. It'll eventually turn toward the south. Follow the directions from #3 above, but make a LEFT on Reche Road.